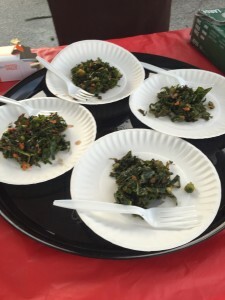 Combine collards, kale and carrots in a large bowl. Toss with enough dressing to coat. Refrigerate about 1 hour until collards soften.